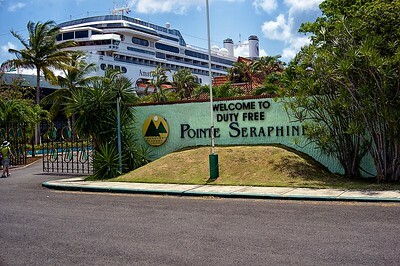 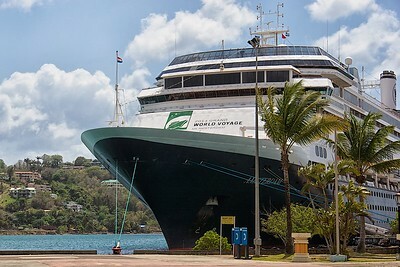 We docked in Castries, St. Lucia on April 23, 2014 out side Pointe Seraphine, a duty free shopping area. 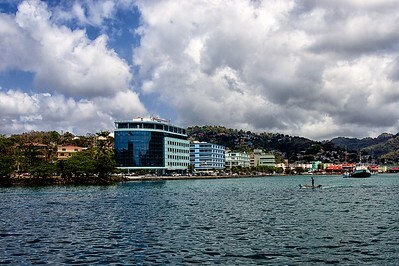 The port area is in a small bay which caters mostly to cruise ships. 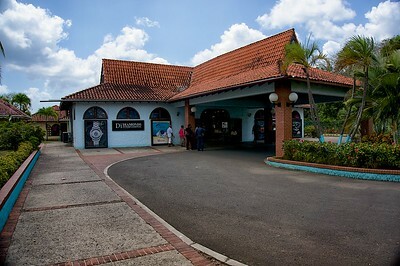 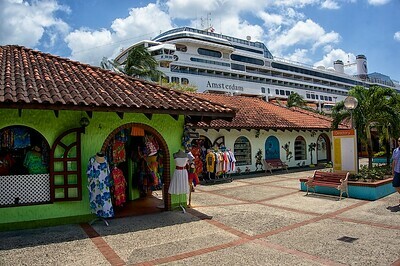 Here you can find the usual tourist shops found throughout the Caribbean. 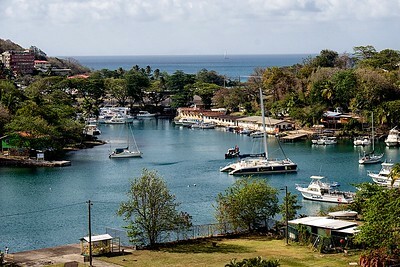 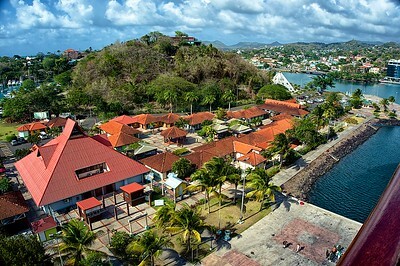 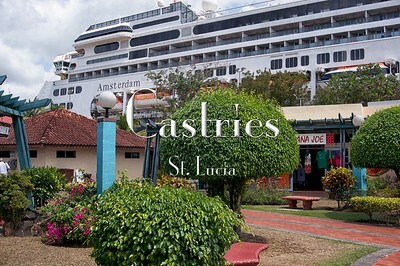 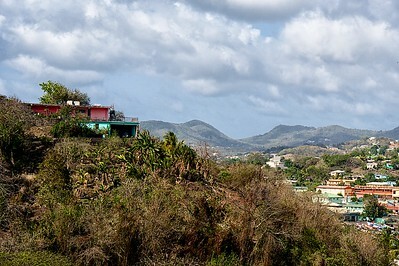 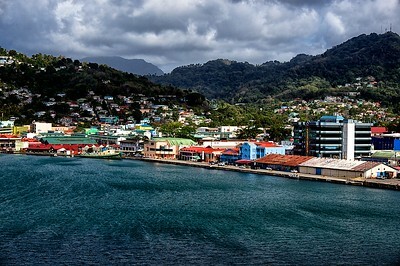 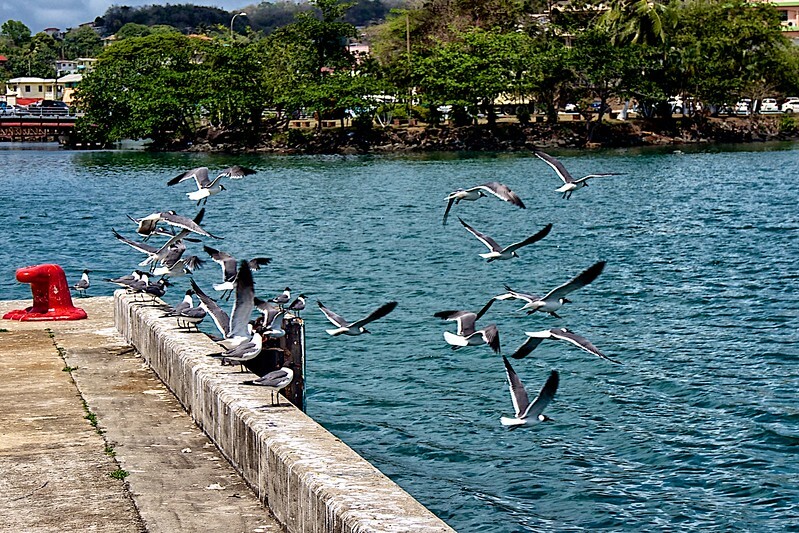 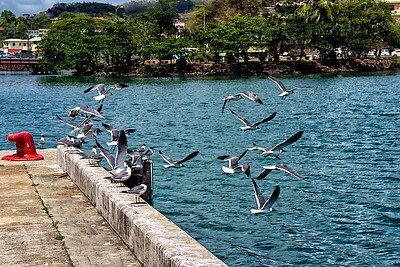 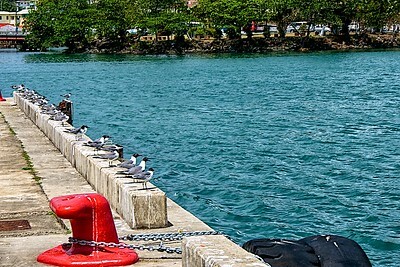 From the pier there are some scenic views of the town of Castries and the surrounding area.